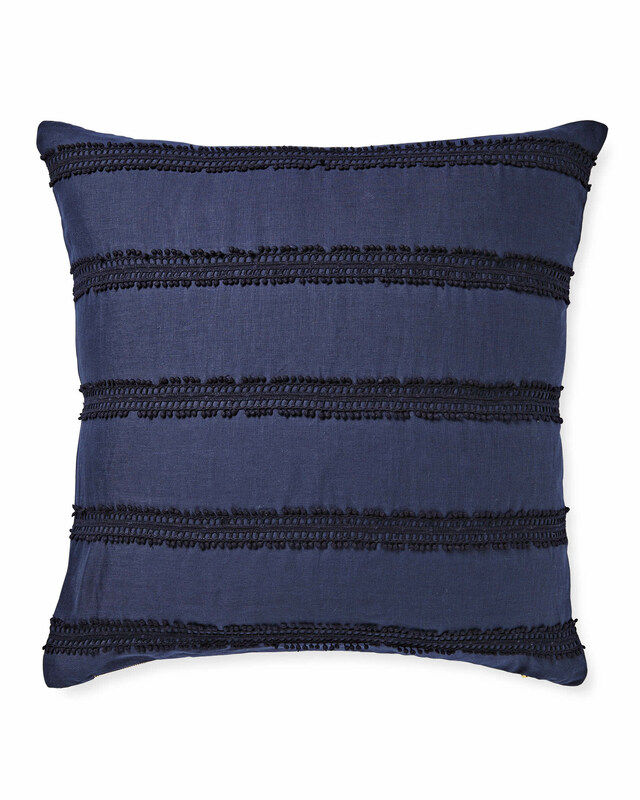 Sevilla Pillow CoverSevilla Pillow Cover, Navy alt="Sevilla Pillow Cover, Navy"
Print We’re in love with this gorgeous texture -- rows of crocheted appliqué in saturated shades. It’s a simple way to punch up any living space. Better yet, it’s woven of washable linen for a relaxed look that’s easy to care for. 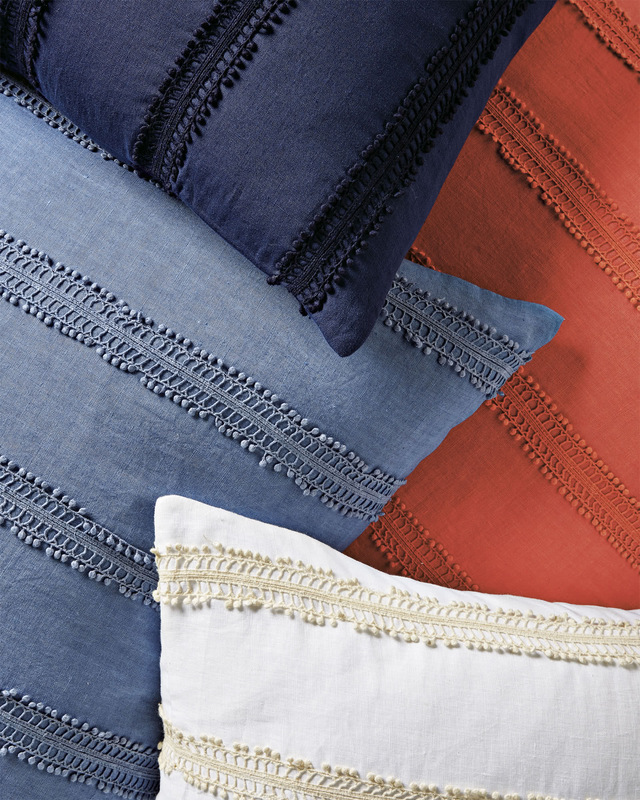 White/Ivory and Navy feature darker crochet; Coral and Cornflower feature tonal crochet.